11 January 2017 by . Father Tomislav: Dearest brothers and sisters, the period of the Christmas festivities is always rich in grace. For us who are on our path this is the end of a cycle and the beginning of a new one that, as every year, comes with some indications for the year 2017. The title of this reflection is “The light of God drives darkness away”. We have shared two messages with you without comment. Today we are publishing two messages with short reflections referring to them. The first message is of St. Michael the Archangel and has certain features. Both messages turn to the whole people because the time is ripe and God wants to speak to the whole people. 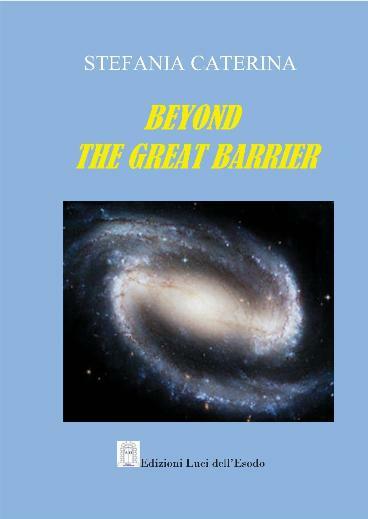 He wants to show the whole people the path towards the events awaiting the Earth and the universe. Let us speak about the message of St. Michael the Archangel. He is the Precursor, the guide of the people of God towards the glorious manifestation of the Lord. In his message St. Michael is clear and determined in his power with which he said before God and Lucifer: “There is no-one like God; God is God.” He says that also in this time. Let us listen to his message that is clear and understandable for all of us because it is concrete. I announce you the great manifestation of the people of God to the whole universe. With today’s solemnity the time of the great manifestation of the children of God and of the children of Satan begins. The whole history of mankind has come down to this. This is the time in which all that is written will be fulfilled; what is written in the mind of God, in your hearts and in the hearts of all generations before you. The manifestation of the children of God is first of all the manifestation of their Creator. He has created you for His glory, and this glory must manifest itself. The light God has placed in you must light up and drive darkness away. This year God will proceed in such a way that His people will become more and more visible. The evangelisation of the low universe will proceed and God will strongly accelerate it so that the announcement of salvation will reach all planets as soon as possible. On Earth the manifestation of the people of God will trigger the action of the Antichrist. He is already in the world; he has already been chosen by Lucifer, and his action will begin. God will decide if and how to reveal his identity but, no matter if he appears openly or not, the Antichrist will be at work. God wants to protect His people and He will do everything to prevent them from being harmed by the Antichrist; nevertheless, it is inevitable that he acts. Without the action of the Antichrist God’s plans cannot be fulfilled, for the Antichrist will provoke all negative powers which will be forced to reveal themselves. This will take place in the whole universe but especially on Earth where the spirits inhabiting it are many and very diverse; therefore, the Earth will be the theatre of great battles between the children of God and the children of Satan. This must not scare you. God will make you take the right steps at the right time and will always protect you. I invite you again to a strong testimony and to assume great responsibility for this program. All of you are called to announce that Christ will come back to save His people and put an end to human history so that the real history may begin, the one that should have been from the very beginning. I will not indicate a time by which all this will take place because God never gives time limits. He proceeds according to your response and to what is more useful to His people; He adjusts His pace to your pace. God never takes steps that are bigger than you can take. However, you must not remain passive. God asks you only to believe in Him, to believe in Jesus Christ and to announce His salvation. The ones who are ready will follow you; leave to God the ones who are not ready. In these challenging times the fate of each man and the entire humanity will be determined. I invite you to keep your houses functioning. They have to be an oasis of peace and love for all the children of God who seek life and who will be frightened and confused. Your houses will have to shine like a light leading the people towards Jesus Christ. Each one of you will have to shine like a star of Christ directing the path of many souls. This will first happen in your spirit and then in your deeds. Therefore, be shining lights of faith, hope and love, and God will direct His children towards you. You will see a lot of confusion on Earth; people who no longer see the light because of the darkness advancing on Earth will increasingly be terrified. But you must not be afraid! This has to take place according to God’s justice and wisdom, but nothing will be able to harm you. All the rest will be given to you step by step. From this moment on I take command of this people with even greater determination; I will guide it towards Jesus Christ with a firm hand. Remain at my side because we need each other; among us no-one is bigger or smaller as we are all instruments of God. We must be united and support each other with our love, our offering and our prayer. All the rest will be accomplished by God, and we will participate joyfully in His work. And now we will listen to the message of Our Lady. She is the Mother of God and our Mother. She explains her relationship with us, that She wants to stay with us in these times transmitting the life of God to us and asking us to participate in it. I want to be with you today because for the people of God a very challenging time begins. Yesterday important things have been said to you and I will not repeat them. Instead, I would like to tell you that I love you and that I am by your side. Each step you do, you will do it with Me. Jesus wants to manifest Himself as the only Saviour of humanity. He has already done so when He came as man, but He has not been accepted. God, though, does not leave His work half finished; therefore, Jesus will return to manifest Himself, and this time He will do it in His glory. Neither sin nor death will be able to harm Him in any way. His people must anticipate His manifestation as was the case for Me. Before Jesus manifested openly to the people of Israel, He manifested in my womb where He began to live and act. John the Baptist could feel Him in My womb. When I showed Him to the brothers coming from space, the ones you call the Three Wise Men, I only fulfilled My mission: to manifest My Son to the whole of humanity. I had already done so with the shepherds, the first nucleus on the Earth, a small and humble people, to whom Jesus manifested Himself. Today the same thing must occur within the people: I manifest Jesus to you so that you manifest Him to others. You have to reveal Him first of all within you and within this people, for this is the place where Jesus wants to manifest Himself. My Son said that rivers of living water will flow from within you. He is the river of life, and you have to manifest Him to others. I count on you to bring forth the Son of God together with Me and show Him to the world in the way I showed Him to the shepherds and to show Him to the universe in the way I showed Him to the Wise Men. Kings used to bring gifts to other kings. That was the custom at that time. All of you have to bring gifts to the King of kings. The greatest gift that Jesus expects from you is your life. Your life contains everything: faith, hope and love. This is what God expects from you and I expect this too. I continuously transmit Jesus’ love to you. Know, children, that no creature has pure love in his heart without receiving it as a gift from God. You must ask Jesus to give you true love. Do not set off with your human love. Satan will act with all his hatred; therefore, the people will have to act with the whole love of Jesus. Jesus has given His life for His people, and there is no greater love than that. If you give your life to God for your brothers and sisters, no force of the darkness will be able to defeat you. I will always be at your side; I will pray and offer Myself for you so that the Lord may fill you with His love. Give all your prayers, your intentions, your thoughts and your wishes to Me; I will remove all egoism from them and present them to God, and I will only ask for what is good for you. I ask you to participate in My offering and I will participate in yours. I am your Mother and the Mother of God, and I want to lead you all to the heart of My Son so that He may take you into the new creation. Stefania Caterina: Dearest brothers and sisters, you have now heard both messages; so we would like to give you some points for reflection that we have exchanged among us and that we want to share with you. We will start from the first message, the one of St. Michael. The central point is the announcement of the Antichrist whose action will begin this year. We have already spoken about the Antichrist many times; of his figure and what he brings with him; so we will not repeat things already said, but now we have something much more concrete: we have the announcement that the Antichrist is in the world, that he has been chosen by Lucifer and that he will begin to act. This is a concrete fact, a very clear event. At this point we ask ourselves what we can effectively do, what position we should take, what the position what kind of attitude the people of God should take. Certainly not one of fear; there is nothing to fear and St. Michael has said it. We must not be sceptical. We must see clearly that these are events that have to happen. They are expected and have been foreseen and announced even in the Bible. We cannot and must not be passive. What we can do is to take a clear decision for God, to remain firmly in Jesus Christ and in Jesus Christ focus totally on moving towards God the One and Triune by consecrating ourselves to Mary Most Holy. In this way we enter into the light of God, and the light of God illuminates us on the events so that we understand them clearly as well as the steps to take. One point is important: we will not lose ourselves explaining what the Antichrist does or does not do, when he comes, how he will manifest himself. We do not announce the Antichrist, we announce Christ! We live the love of Christ and in the love of Christ, and we pave the way for all those who want to walk towards Jesus Christ. We must be mature in this time in order not to create fear in the persons which is useless fear, but give hope. We are interested in the return of Jesus Christ; the Antichrist is part of the preparation. Father Tomislav: As we have often said, God acts when the fullness of time has come. God thinks that the time is ripe, that the rest of the people on Earth and in the whole universe is mature. Times are ripe for God to fulfil this action. Thus, time for this kind of justifications is up: there is time; we must not scare the people; we have to keep quiet; we must enter into a dialogue: everything outside of Christ is harmful. St. Michael’s announcement is not about the Antichrist but about Christ. Christ is coming to manifest Himself in His people, through His people, with the whole power of the Most Holy Trinity. If the people participate in His manifestation and prepare it, they experience the cosmic Pentecost because they enter into the Spirit of Christ. Thus, there is nothing to fear or to expect fearfully. Stefania Caterina: There is one important point: St. Michael says: “I invite you to keep your houses functioning. They have to be oases of peace and love for all children of God who seek life.” Which houses does St. Michael refer to? First of all to the houses of the Foundation which are at the disposal of the people of God so that the people may be helped in living these events and have the possibility to share experiences with those who have been walking on this path for many years. The task of the Foundation at the houses is to make tangible all that the Lord reveals in this time concerning the programme to gather up the whole universe in Christ. However, I must tell you that also those houses are meant where the children of God live; where a holy family lives who offers itself to God through Mary; where there are individuals who are waiting for Christ’s return with faith, love and hope; where holiness is lived. They have to be oases of peace. They have to be oases where the light of God lives and expands; then even small home churches will become very important points in this time where people will find a sip of living water. But I also add the single individuals; see that each one of us is first of all the house of God because God wants to dwell inside each one of us. Our inner temple must also be illuminated, filled with the glory of God: with His Light. Then the children of God will come and not only the children of God but also many souls will come in spirit to ask for help, to be nurtured by our love and our prayer. Thus, remember that the Body of Christ is made of many little living cells that form together His Body in the whole universe. Thus, many lights have to light up in this time in the whole universe and here on Earth in particular. Father Tomislav: I want to add that no sheep lost in the desert will be left alone. God’s action is in the Holy Spirit and the Spirit will reach every individual especially those who feel lonely, abandoned, who feel that they are without shepherd and without help. The people of God in the whole universe will live for these persons and grace will reach each one of them. It has been said that there will be a time of confusion and terror; however, it has also been said that we should not fear. Why should we not fear? Because God puts a limit to evil; however, He puts a limit to evil in the souls that are united to Jesus Christ through Mary. God allows the action of the Antichrist to divide darkness from light, to attract His children – all of them; yet, where will He take them? He leads them towards fullness; He protects them; the souls will receive protection when they adhere to His plan; they must not remain passive. By participating to the plan of God, to the graces of this time, they will be rooted in Jesus Christ as Mary Most Holy was as we will hear in the reflection about Her message. They will be mothers and fathers who welcome the life of God within them; thus these persons will shine with the light of God. Stefania Caterina: We will now have a look at the message of Our Lady. 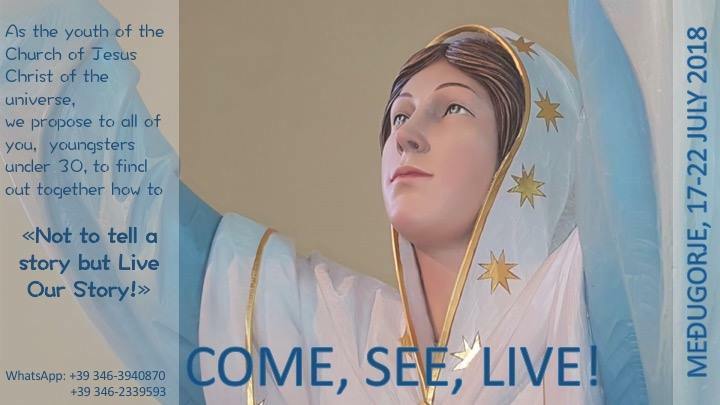 The message begins with Our Lady’s statement that She is with us. She says: “I would like to tell you that I love you and that I am at your side. Each step you do, you will do it with Me.” This must give us hope and strength because having Our Lady with us is the greatest protection God gives, for Our Lady is immaculate and pure; She protects the children of God with Her mantle. Our Lady also tells us something very important: Jesus wants to manifest Himself as the only Saviour; His glorious apparition, His manifestation will silence all those who show up as false saviours, false prophets, false messiahs. The Gospel is very clear about this point, but the people have to anticipate His manifestation, that is, before the manifestation of His glory they have to manifest first the glory living in the people, inside us. What does this mean? It means that each one of us and the whole people have to reveal the people of Christ, His light and His action; we cannot expect that Jesus falls from the sky in a magical, amazing way, so to say, and that He does everything. We have to prepare His return. The persons will believe in the glorious Christ as much as they will have seen the glory shining in His people. If we do not pave the way, many will remain disoriented, they will not be ready and they will not have been instructed. There are people of good will, but often people are locked in their ignorance as no-one helps them and no-one teaches them anything. Thus, we want to reveal with our life the life and the action of Christ. Father Tomislav: Mary Most Holy said in one of Her messages: “My name is Mother, call Me Mother.” The Church calls Her Mother, Mother of God and our Mother. She is not God but She carries inside the life of God as She is designed to be the Mother, not only of Jesus Christ but of the life of God in each one of Her children. Thus She is our Mother. What does a mother do? A mother passes on life to the child she is carrying in her womb. We have to understand that this is the meaning of our relationship with her. She transmits the immaculate life to us, for She has received it from God, and through Her immaculate life we can give our true response. She cannot cover up passive persons who do not want to participate in the life with Mary; however, they have to participate so that the life of God may be embodied in us. Here it is very important to understand that the Mother protects us, but the Mother of God does not protect selfishness, egocentrism, prayers that make people close in on themselves. The Mother generates, She gives the life that leads to fullness. In this sense it is very important to understand the words with which She invites us to hand everything over to Her: all our worries, weaknesses and fears and to offer our life just the way it is so that it is cleaned. Through Her immaculateness and full communion with God She cleans and prepares us so that we may enter purified into God. Christ cannot present the Father persons who want to remain dirty, who do not want to reach the fullness in God. Jesus can offer the Father only the persons who carry His pure and divine love. Here Our Lady is irreplaceable on our path. She is the only creature who can pick us up and take us to Jesus Christ. We must be careful though: we cannot be replaced by Our Lady, be hidden by Her mantle, so to say. She protects us from inside. She has become the Mother par excellence at the foot of the Cross and we are called to participate in this offering with pure love to reach the divine love which is the only pure love descending form the Father in the Holy Spirit through His Son Jesus who sacrifices Himself for us. He offers Himself for each one of us, for the whole people, and we participate in these mysteries. This is very important because the Christians of the Earth must get away from ritualism, from empty words, from an egocentric kind of devotion which is empty. We are not criticising but indicating the way and all the means that lead to fullness. We cannot be indifferent because the Antichrist will not only reveal what is dirty in the world but also what is dirty in each one of us, while we are repeating every day: I confess, I confess, I confess … We must turn inside us and look for what is wrong, for what comes up in us that is against Christ and remove that spirit, that behaviour of the antichrist. Then all this will make us understand what has been said in the Holy Scripture: “Nothing impure will ever enter the new creation“. In our heart we all wish to enter the fullness and, therefore, we have to participate in the graces and the instruments that are given to us. You see, there we enter into the Cosmic Pentecost. As then Mary Most Holy was with the apostles and the disciples in the moment when the Holy Spirit came down, now She is among us, in the same way, and wants to remain with us personally in spirit and not only in the apparitions or in visions, and we can participate in Her living maternal presence in the midst of us, helping us and leading us to elevate ourselves to the Father through Christ in the Holy Spirit. Stefania Caterina: Our Lady says one more important thing; She says that no-one can own pure love without receiving it from God, and she also says: “Do not set out with your human love.” Here we put the finger in the sore spot. Is there a human love? Yes, there is. The world is full of this love. It is a mixture of desires, passions, emotions, expectations, pretexts, egoism and possession. This is human love and it comes out of our egoism. Then there is the pure love that comes from God. We cannot love God if God does not give us His love. We must love God too with His love because even our love for God is often human love. We must love the others with pure love; we must ask for this pure love for others; therefore, we need the Immaculate Heart of Mary, of the One who says: “I continuously transmit Jesus’ love to you.” What is this love of Jesus? Jesus’ love is the love that made Him give His life for us: “Greater love has no one than this: to lay down one’s life for one’s friends,” Jesus said. The true, pure love of God is the love that is able to take on the cross for someone else, who is able to accept him with his limits and to forgive him. Thus, we have to rediscover all this as Christians without letting Satan make fun of us with this kind of false love he presents us as the cure for all ills, which, on the contrary, only causes sadness, emptiness disasters and great tragedies. Thus we need the pure love Our Lady transmits us. Without this pure love we would not be able to enter the new creation. It has been said: “Nothing impure will ever enter …” However, without God’s love we cannot understand the steps to take either. Our prayer too has to come out of our pure love for God, not from our needs. We have to understand that we participate in the plan of God in this time, that is, in His action. It is not God participating in our actions. We have our intentions and initiatives and we expect God to participate in them; no, it is the exact contrary. This pure love allows us to participate in God’s projects and to welcome and understand His thoughts. We certainly cannot understand all thoughts of God’s as we are not able to, but love enables us to see the truth, welcome what is true for us of God’s project and live it. Father Tomislav: Time is running out and for many it is too late. Perhaps these are strong words. What we have passed on to you is not an idealisation but a way of healing for the humanity of the whole universe, the way of salvation. The time of religious formalism has ended: the time of being content with belonging to a Christian community and of formal practises. Jesus Christ steps into humanity with all His Trinitarian power; He comes to humanity with all the Trinitarian power of the Earth and that will trigger evil. Jesus Christ will allow no more to remain hidden like a worm gnawing at humanity. We will continue to follow you, but we cannot help you if you do not wake up, if you do not take your steps. Even Our Lady will not be able to help you, nor will St. Michael, for no-one can replace the response of a soul, nor can any instrument; not even God Himself can help us if no response comes from our heart. It is up to each one of us to give our response according to the grace that has been given to us. And I bless you all in these days in which we celebrate the Lord’s Baptism, and in which all of us may renew our baptismal promises. Each one of you may receive the grace to renew their baptismal promises as an adult, sincerely and strongly, so that the Holy Spirit may descend on you as He descended on Jesus, as He descended on the first Church united with the apostles, so that the voice of the Father be heard and humanity may recognise finally in the people of God the face of the Father and manifest the One and Triune God. In this manner, we will bring the light among all the brothers and sisters who are lost, and the enemy, the Antichrist and Lucifer, will move away; in the name of the Father, of the Son and of the Holy Spirit.